Want Military Grade Toughness Without Going to War? Why is it that some guys NEVER lose their cool, no matter what the situation? … who doesn’t FREAK OUT and embarrass themselves. … who knows EXACTLY what to do. … who EVERYONE looks up to. What’s different about ‘that’ guy? He knows a focused mind is your best defense against ANY situation. He’s mentally tough. … YOU could be ‘that’ guy. Hey, anyone could be ‘that’ guy. No-one is born with a tough mind. Developing mental toughness is a learned skill. It’s the same skill our military uses to rapidly toughen up raw recruits so they’re combat-ready within WEEKS. It’s the same skill put in action when you see a firefighter rush headlong into a burning building without any thought for their own safety. It’s the same skill a police officer uses when he needs to instantly control a situation where hundreds of lives are at stake. And for the first time in the public domain… you have a shortcut to developing this skill. 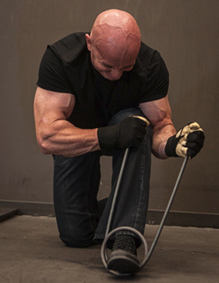 Hi, my name is Mike Westerdal and I’m a national best selling fitness author, sports nutritionist, personal trainer, Iron Man magazine contributor and founder of the internet’s longest-standing strength site, CriticalBench.com. In a moment, I’m going to reveal to you the three ‘shortcuts’ - never before revealed outside the walls of the military and law enforcement agencies' training rooms. These are psychological secrets used to transform any guy, regardless of size, age or experience, into a mentally tough, hard-as-nails ‘Warrior’. There’s something wrong with our mindset. Now, some guys may stop reading this right now. They’re in denial or their ego is getting in the way… and that’s the first sign of mental weakness. Because until you accept you may be vulnerable, and you can’t take the steps you need to develop mental toughness. Every day, I deal with guys who spend years developing their physical strength. They build muscles to help them look good and feel good. They dedicate hours to prepare themselves for whatever challenge is put in their way. Many of these guys think they’re tough, that they’re ready for anything. Here’s a wake-up call: If you think toughness is ANYTHING to do with the size of your muscles or your physical strength, think again. if you freak out and lose your cool when things get real? It didn’t use to be this way. Men used to be able to keep their cool. We were expected to remain composed in the face of adversity. Our fathers and grandfathers were tough-minded because they lived tough lives. 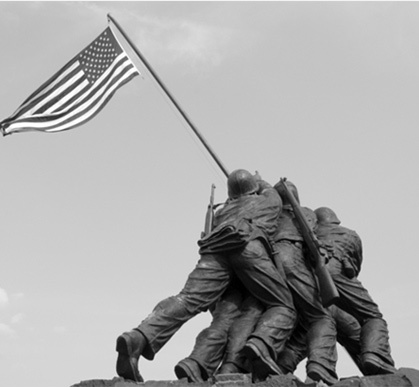 They fought wars against enemies who threatened their very existence. Life wasn’t easy back then. And it turned boys into men. They had no choice BUT to develop a strong mind. It’s not your fault. Modern life has made us soft. Our mental strength isn’t tested and strengthened hour-by-hour, day-by-day as it used to be. We don’t have to hunt for food… we just drive to a grocery store and grab what we want off the shelf. We don’t have to fight for shelter… we live comfortably in our homes with our modern conveniences and TV. We don’t have to keep our emotions under control… we’re encouraged to ‘let it all out’ and express “what we really think”. We live relatively comfortable lives. But, here’s the problem. When we’re called on to control our emotions during stressful situations - whether it's job related, in the gym, at home or even, God forbid, an actual physical confrontation - we're vulnerable. … we’ve lost our edge. Whether we know it or not, we’re paralyzed by fear that makes us ‘freeze’ when the chips are down. That’s why I want to tell you about the toughest person I know. Mike Gillette was one of the smallest and weakest kids in his class who grew up in a household overwhelmed by domestic violence and substance abuse. He has over 25 different use-of-force and weapons systems instructor designations to his name. 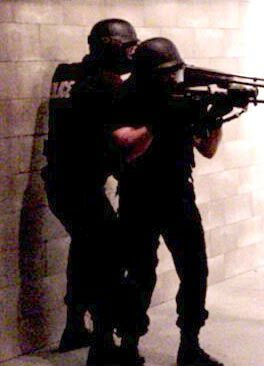 He’s been an in-demand tactical trainer for a literal alphabet soup of elite government agencies – FBI, DEA, DHS and TSA (in fact, he literally wrote the training manual for those last two). You see, when Mike was a child he couldn’t have been further away from the person he is today. He was small. He was weak. And he was afraid of EVERYTHING. His personal story is one of weakness transformed into strength. Because mental strength isn’t genetic. You’re not born with toughness of mind. No. Mike developed a tough mind by dealing with what life threw at him. He knows what it takes to go from your ‘today’ self to your tough-minded ‘warrior’ self. He understands you can literally take ANYONE - applying his Three Steps of mastering mental toughness - and instantly improve how they deal with situational changes or a crisis when it arises. I’ll reveal Mike’s Three Steps of Tough Mind Mastery in a moment. But first let me hand it over to Mike to explain how he overcame every obstacle life threw at him to become the tough guy he is today. I live an unusual life. It’s been an amazing life. I’ve dreamt big, worked hard and done my best to make strong decisions. Decisions that have helped me get to those dreams. But the truth is I never expected to have this life. This is my story. I had a tough childhood. I was the result of an unintended pregnancy and my parents split-up when I was three. My mother was left with me, no money and a lot of anger. She pursued bad relationships with bad men. Men who would abuse her. Growing up, I saw my mother get punched, kicked and choked. One night she was thrown down a flight of stairs. Sometimes we would leave. But we always went back. I was often left alone. Some days there was no food in the house. I remember being eight or nine years old and putting myself to bed. Or boiling beef bouillon cubes for my dinner. But the one thing we never seemed to lack was alcohol. It was everywhere. If you’ve ever watched that TV show Cops you’ll notice that wherever the cops go, inside every house they respond to looks the same: chaos. That was how we lived. As I grew older the violence got worse. One night, after having her head beaten against the living room wall, my mother went to the doctor. A brain tumor was discovered. After a year of treatment, she died. I was fifteen. My life became a mess. I descended into drugs and alcohol. As much and as often as I could. In February 1981, at the age of 18, I decided I’d had enough. I checked into a motel, consumed a ridiculous amount of booze and pain killers and lay down on the bed waiting to die. Much to my surprise, I woke up the next day, very much alive. Which led me to conclude two things. 2)	Since I was still alive, then maybe there was a reason that I had been given a second chance. A few months later I reconnected with a girl I dated in high school a couple years earlier. Although we had nothing in common, I had always been drawn to her. She was a good person, the kind of person I would have liked to have been. We began doing things together. One of those things was going to church. Later that year - the same year my life almost ended - was also the year that my life really began, as a follower of Jesus Christ. Now, I’m not here to discuss religion; I’m just telling my story. And it would be dishonest if I were to leave out what I consider to be the most important part of that story. I wanted to live as differently as I possibly could from who I used to be. I wanted to help people. I was too young to become a cop and college was too expensive, so I joined the Army. Things clicked. The harder I worked, the more I was rewarded. 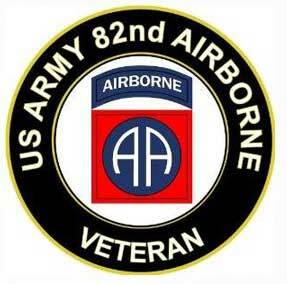 The Army was the first place I’d ever experienced this dynamic and it was the place where I started to dream big. Through my service, I became eligible for an ROTC scholarship, allowing me to pursue my military career as an officer. In 1984, I started college at the University of Arizona. On the last day of my first semester, I went on a climbing trip with some friends. A day which started pleasantly enough. We were to rappel from a railway bridge into a canyon and climb back out. The leader of the group had loaned me some rappelling gear that I had not used before so I had to rely on him to set it up for me. As soon as I stepped off the bridge I immediately knew something was wrong. The equipment had not engaged and I was rocketing towards the canyon floor. The only thing I could do to avoid certain death was to wrap myself around my rope. I wrapped every limb around that rope… and experienced the worst pain I’d ever felt as it burned through my gloves, trousers, shirt… and skin. It was the most intense pain I’ve ever experienced… that is, until I slammed into the canyon floor, breaking my back and ankles. Later that day in the emergency room my orthopedic surgeon told me the ‘good’ news: I would walk again… but I would never run or jump out of airplanes any more. I had, in one day, lost the life I’d wanted and worked so hard for. What was hard for me to keep in perspective during those years of pain and frustration was that I should not have survived that fall. I had actually been given a second chance. For a second time. Well, hard work got me back to where I wanted to be physically. And once that happened I was able to go back to dreaming big. Over the years I’ve continued to work hard and my dreams have gotten bigger. Even today, I’m accomplishing goals that just a few years ago, would have seemed impossible to me. 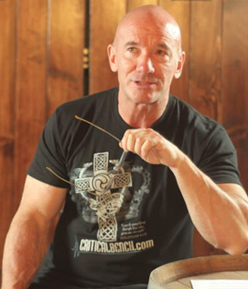 How did Mike Gillette overcome catastrophe after catastrophe and still pull himself together to become one of the world’s most deadly renowned tactical trainers? Most people would have been crushed by those experiences, but not Mike. What was his ‘secret’ to bouncing back from adversity? What gave Mike the power to lead his amazing life was mastery over his mind. Every professional knows you have to be mentally strong to achieve success in your field. Ever wondered how the most successful business leaders got to where they are today, regardless of their background or how smart they are? Have you wondered what world class Olympic athletes possess that makes them go just that bit further to leave the losers in their wake… even when the other guys train just as hard? And why is it some people seem to so effortlessly and easily find money, success and power? There’s a missing link that tips you from being “everyone else” to becoming the greatest in your field. 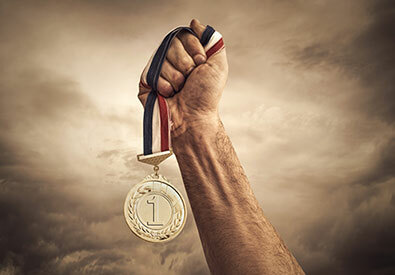 It’s what makes YOU a winner… rather than the guy who came second. Because a tough mind is a ‘winning’ mind. … it goes WAY further than that. That’s what Mike Gillette showed me. That, by gaining greater mental toughness, you could break through any plateau and ANY barrier. That you could put fear aside and achieve anything you wanted. Literally, nothing can hold you back once you gained control of your mind. 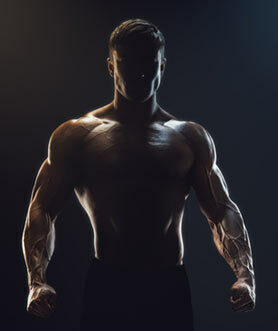 For many years, I’ve pushed myself and others to reach the peak of our physical performance. I’ve carefully planned and executed sophisticated workout and nutritional programs to ensure I reached my physical max. I’ve left no stone unturned scraping out incremental improvement over incremental improvement. But one day, a while back, I hit a plateau. No matter what I tried, it didn’t work. Then one day, while waiting in a doctor’s office I picked up a psychology journal left on the coffee table. Flipping through it my eye rested on a story about pro athletes and peak performance. Right then it hit me. It wasn’t a physical solution I needed, but a mindset change. I had a psychological barrier. But I had no idea how to overcome it. 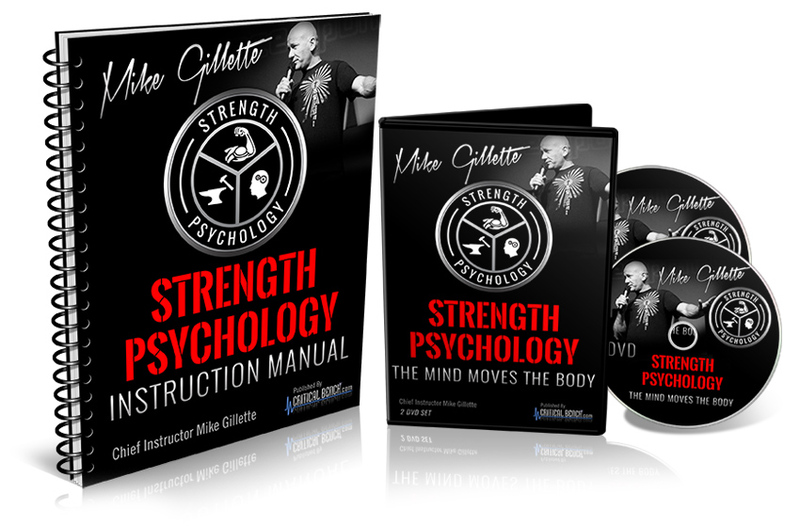 After hearing about Mike Gillette I managed to get into one of his strength psychology master classes where he revealed to a select audience the secret mental strength techniques he’d used when training special forces and law enforcement officers. Within hours, I was a changed man. That 600 pound bench press barrier I’d struggled to overcome for months and months was put to the sword within days of hearing Mike’s inspirational words and following his simple, easy-to-do mindset exercises. A few weeks later, I called Mike to discuss the changes I’d experienced. I asked him if it was unusual the amount of progress I’d made in such a short time. Mike casually said ‘no’ and that most of his students reported life-changing results after spending just a few hours with him. For the first time, I’d seen that developing a tough mind was a learned skill. You are NOT born with it. Because of this ANYONE can become mentally tough. No matter what your background, your ability and what stage you’re at now, you CAN increase your ability to handle every kind of stress - physical, mental and emotional - and not let emotions control you. You CAN have a calm and disciplined mind that gives you focus and strength when a crisis hits. You CAN develop the kind of military-grade situational awareness that gives you the vital edge when you need it. And Mike can hand the power to you to take control instead of letting circumstances get the better of you. The first step is to understand the power your mind has over your physical state. Letting your emotions run you will compromise your ability to act quickly and with purpose. Wrestling back control and harnessing your emotions marks the start of the battle to mental toughness. Like training your body to be leaner, more muscular or stronger using a program, you can also train your mind to be quicker, stronger and more effective. During this stage, planning and preparing to achieve your goals reinforces your mental strength. This is where most people fail as they don’t choose a mentor who has the right expertise to develop their mental toughness. A tough mind needs to be constantly tested to remain on high alert. Just like an athlete’s body, it can’t be left to go limp and weak. That’s why constant maintenance and regularly pushing the boundaries of what you and your mind are capable of, forms the path to mastery of your mind. Simply put, get comfortable being uncomfortable. Using these principles, Mike Gillette has trained countless men and women to develop world class tough minds in every field he’s worked in. 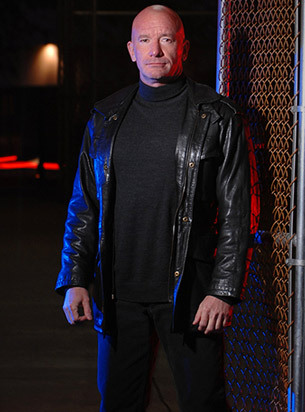 At last, I’ve persuaded Mike to open up his toolbox of psychological techniques and share with you the ‘insider’ secrets he uses to train soldiers, law enforcement officers and… well, basically ANYONE who needs to develop mental toughness quickly and efficiently. He gave me unprecedented access to all his notes and research. However, there was so much advice and so many techniques contained within all this information, to bundle it up and drop it on your lap would overwhelm you. That’s why we’ve spent the last six months carefully selecting the most targeted and relevant advice for you. And we’ve created a complete step-by-step program that gets you from your ‘today’ self to your ‘warrior’ self as quickly as possible. We’ve filtered out all the technical detail and present this incredible material in the most accessible and easy-to-follow way possible. Even if you’ve never been exposed to many of these techniques before, you’ll grasp the concepts quickly and be able to apply them IMMEDIATELY. I’ve seen the power of these lessons on the human mind. I understand the confidence, the power and belief you’ll gain by learning to be mentally tough. That’s why I want to get this material to you as soon as possible. You’ll want to implement and use this right away. 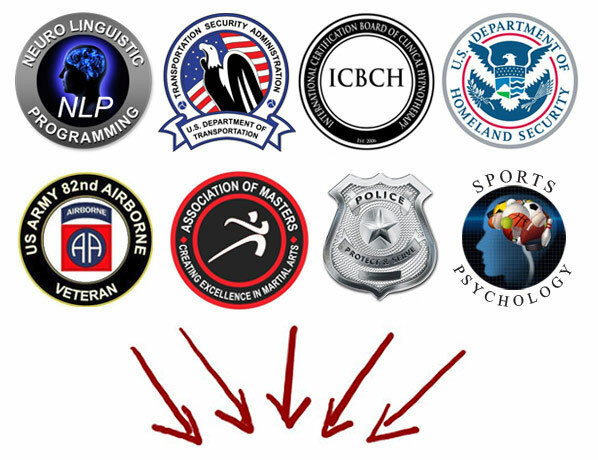 training secrets from law enforcement, military training, sports psychology, hypnosis, martial arts and neuro-linguistic programming (NLP). Strong Mind Manual designed to be used alongside the presentations. The program includes presentations delivered by the most highly respected mental strength coach in the world, Mike Gillette. In every presentation he’ll share every ‘insider’ secret and strategy he knows to help you develop a tough mind. The simple “30 Second Mindset Switch” you can INSTANTLY flick on in your head to do a 180 degree change in how you feel about fear. The secret to “keeping your head, when all around you others are losing their minds”… Mike reveals the science behind staying cool, calm and collected and how you can quickly learn to override your body’s natural instinct to panic. Learn the tactics used by the world’s deadliest special forces units to access a high state of alertness, so you’ll be aware of present and future danger to yourself or your family on a daily basis. How to permanently maintain a ‘Red State’ of heightened awareness of your surroundings and conditions, so you can see danger before 99.9% of the population who live in a ‘zombie’ white state. (Imagine walking into a room and instantly assessing who’s a threat and where the escape routes are. Like Jason Bourne, you’ll ‘see everything’…). The REAL secret to overcoming fear and why you’ll never escape from its clutches while you hold on to the THREE critical limiting beliefs (don’t worry, Mike reveals exactly what they are and shows you straightforward, practical strategies to immediately wrestle these killers from your mind). How to systematically break down your fears and overcome fear FASTER using ‘scare’ tactics to school your mind to be calm in the face of danger. The No. 1 killer question you MUST ask yourself the second you feel fear (forgetting this could be the difference between life and death). Why complexity is the ENEMY of planning and why SPECIFICITY is the be-all-and-end-all of setting goals you’ll actually achieve (to demonstrate exactly what this means in practice, Mike takes you step-by-step through a plan to improve your physical condition in just 90 days). … And the sure-fire success method to setting goals so you can forever erase the pattern of try-fail-try-fail. Mike shows you exactly how to design solid, bullet-proof goals that’ll set off a domino effect of achievement. Discover how to intentionally control your mind and get rid of self-limiting beliefs and kill the frustration of hitting a plateau. How you can learn to love the pursuit of your goals and why the journey is critical to developing mental toughness (this tip may change how you view your entire strategy for achieving your life goals). The Science of Service: the damaging misconception about serving others that’ll change the way you think about the world (add this mind-changing serve-others strategy to MULTIPLY your impact on your family, your community and the world). The “Skyscraper” Approach to Goal Adjustment - Mike reveals why your planning needs to be flexible to quickly adapt to changing situations and avoid getting caught out by external circumstances you can’t control. How to develop a “Chess Player” mindset and become a master of strategy over your own life. The six quick-and-easy steps to success-proof your goals (what you’ll gain from this alone is worth the price of the whole program). How to “Red Team” your goals and quickly identify vulnerabilities and weakness in your planning. (Just learning this skill alone will IMMEDIATELY deliver benefits in all areas of your life). Harness the power of visualization (the leading technique used by the world’s most successful athletes and leaders) to direct your energy, still your emotions and develop a strong mind. Empty your mind of distracting thoughts that block your ability to assess situations critically and calmly (Mike shows you how to build focus and awareness through this simple exercise which requires you to do nothing more than relax). Why you should NEVER ‘embrace’ your fears but instead learn Mike’s strategy to manage fear. What the THREE different ‘forms’ of fear are and why you need to understand them before you can control them... and how to recognize them instantly so you don’t get caught. Why the final fear is the most dangerous and is solely responsible for keeping you from realizing your full potential (what Mike reveals about the fear of public speaking in this section will FOREVER change how you think about presenting in front of other people). The mindset strategy that successful people use to deal with fear that unsuccessful people struggle to see. In the first section, Mike explains exactly what it takes to develop mental toughness by learning to consciously control your thoughts. In this detailed analysis of the biochemical process which affects your state of “readiness”, he reveals why controlling your emotions is straightest line to a tough mindset. Mike also discusses how to achieve Peak Performance State, that magical state where you smash personal bests and instantly break through barriers holding you back. He reveals how to start bridging the mental ‘gap’ between your current state and your hero state and why negative thinking seriously sabotage your performance. The second part focuses on planning for success. How does planning relate to developing a tough mind? Mike explains why constantly setting and achieving goals helps develop resilience and strength, reinforcing confidence in your abilities. He explains how to avoid the pitfalls of planning and walks you through his top strategies for sure-fire success. Your blueprint for success Successful people plan well and are master strategist. If you don't plan, your results are left to chance. 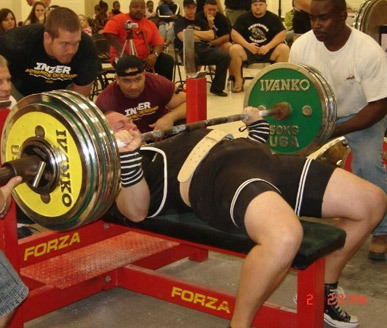 How to master the strategic philosophy of The Psychology of Strength which is… the best strategy is the one that gets you to your goal as fast as possible and with the least amount of effort. How not to be the kind of person that lets "Life happen to you” and how to design the life that you want to live. Without going through the rigors of a military-style induction program or throwing yourself into dangerous situation after dangerous situation, the only other path available to develop mental toughness is dedicated, directed practice. 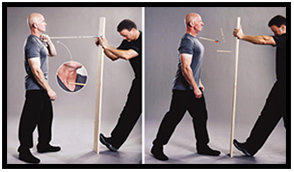 Fortunately, Mike has developed a range of highly effective, simple-to-do exercises which take you MINUTES each day but over time significantly improves your alertness, mental toughness and emotional control. Learn to discipline your mind and achieve mastery over your mental abilities in the same way you train your body. Mental exercises and techniques that help you focus and concentrate without distraction from random thoughts and emotions. How you can gain the edge, because most people think that having control of your own mind is impossible… of course, for you, that WON’T be the case. The whole program is available in a convenient, content-rich package designed so that you’ll want to view it time and again. 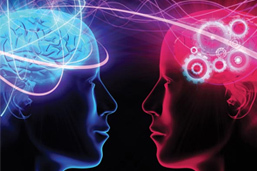 Already, I’ve demonstrated what I’ve achieved thanks to my time working with Mike Gillette… so perhaps it’s time to hear from some of the many men and women he’s trained to help them rapidly develop a tough mind. “The materials that I've seen from Mike were really different than those I've seen from other Sport Psychologists...some decent content but the substance and practical application wasn't there. The difference with Mike is his practical experience is just incredible and second to none, therefore adding to his credibility and he actually offers some very applicable tools to take away and use with the athletes that I train and add another dimension of performance to their game. 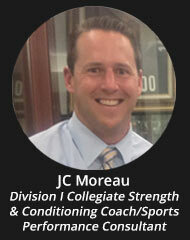 To develop mental toughness you need be carefully guided by a professional who knows EXACTLY what they’re doing. They must have both experience and expertise working in high pressure, high stakes environments. Only then will they KNOW the right steps to instil the habits you need to alter your mindset permanently. 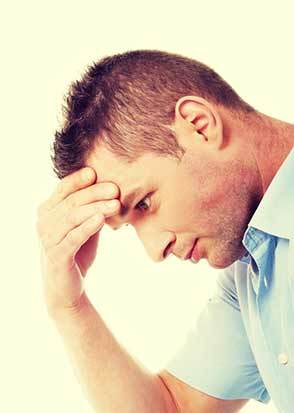 You could try to develop mental toughness yourself. 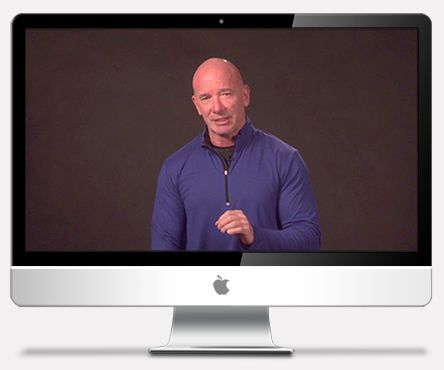 You could throw a few thousand dollars to listen to one of those self-proclaimed “gurus” who spout out inspirational lines to teach you how to be stronger mentally (Yet the only struggle they’ve overcome is the ‘mission-critical’ decision about whether to charge you $2000 or $3000 for their latest DVD set). The reality is none of these options will give you the most effective mindset training available on the market today by the most credible, most qualified person in the world to teach mental toughness. Choose the guy who practically wrote the book on mental strength, Mike Gillette Who proved again and again and again the power of a tough mind in bouncing back from adversity. 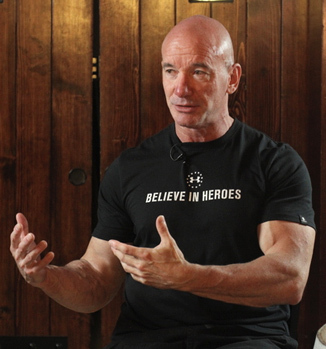 Now, this program was originally only available as a live training event at which attendees paid over $1,000 each to work one-on-one with Mike with the promise of being able to develop a ‘warrior’ mindset. In fact, I was eager to keep the price high to ensure that the people who purchased it really wanted the program and were willing to invest and implement what they learn immediately. However, Mike wanted as many people as possible to benefit from his mindset training (he insisted on it) and so we’re releasing the program for a limited time at a ridiculously low introductory price. The full retail price of the program is $249. However, as these are the first 1000 programs available we’re slashing the price to get this to as many action-takers as possible. (Mike wants you and other early birds to take the program and start using his techniques IMMEDIATELY, so you can start seeing the effects and tell you friends, and so on). That’s why you won’t pay $249 for if you're one of the first 1000 people to take action. You won’t even pay $149 for the program. No, we’re making the very first version of the program available for a measly $47. That’s a $47 investment to start you on the path to controlling your emotions, controlling your life and living without fear. Instant access to download the book and 2-Disk DVD. The book and 2-DVD set shipped to you anywhere in the world. Remember, this isn’t just a program. 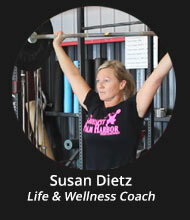 Psychology of Strength is an asset you’ll want to share with your whole family. And watch again and again. … but imagine being able to share this with your children. Imagine how it can help them develop the mental toughness they’ll need to survive all of life challenges. Challenges ranging from school to the workplace, on the sports field and anything else life throws at them. Is having the respect of being ‘that’ guy worth $47? I understand that you may be skeptical about how transformational this program will be. I’m sure you’re going to be delighted with Psychology of Strength. And I’m positive you’ll quickly see serious improvements in dealing with situations more calmly, with greater control and with the confidence you can handle any crisis should it hit. However, I want to make this as risk-free for you as possible. And so I’m offering a 100% no-questions-asked, 60-day money-back guarantee. That’s right… purchase Mike Gillette’s program today, put it into action and start transforming the way you think for the next two months. If you’re not totally blown away by what you learn, if you’re not totally satisfied it’s a life-changing experience, I insist on giving you ALL your money back. To process a refund, it’s so simple. Just email sales at criticalbench.com and speak with a member of my friendly customer service team who will happily process your refund. No questions asked. Now that I’ve reversed all the risk, here’s what you need to do right now. Find your wallet and take out your credit card. Click the buy button below and fill out your details on the secure payment form and submit payment. If you have chosen to purchase the digital copy or the combined hard and digital copy, look out for an email in your email inbox containing a link to the Psychology of Strength package. This will contain your log-in details. Once you click the link to the program and logged in with your username and password you can instantly begin working through the videos or downloading the accompanying book. If you have ordered the hard copy version, I’ll rush this to your door as quickly as possible. Expect to receive this within 3-5 business days. 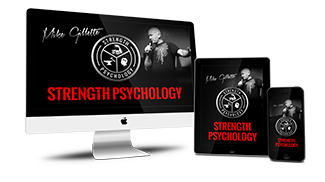 I’ve explained what Psychology of Strength offers and you’ve seen what benefits you receive from buying into the program. You’ve also discovered how it’s changed people’s lives and how it offers you the best chance to find a way to develop a tough mind and finally gain control of fear. So, you have two options right now. … but think about how you’ll feel as the days pass by. Now you’re aware of the role fear plays when you make decisions, you start to notice it a little more in everything you do. A week from now, you’re starting to become frustrated that you’re not as in control of your emotions as you once thought. A couple of weeks from now some serious stress hits from out of the blue - you react badly and ‘freeze’. You kick yourself because you should have seen it coming. It worries you. Two months from now you’re still struggling to focus and you’re still unable to calm your emotions when situations arise. Six months down the line, you remember this day and the decision you eventually made. You wonder what could have been had you made the decision to buy the program and start making changes immediately. You wonder… what has it cost you by NOT making the right decision today? Hopefully it won’t come to this for you. This option is to take advantage of the preferential pricing I’m offering on the program for a limited time and start strengthening your mind against doubt, fear and worry. Once you start the mindset exercises, you'll be surprised how little time they take. It will all seem quite easy, as though nothing is happening. But then in the next few days, you’ll start to notice subtle differences. You’ll find yourself a little more focused. The paperwork on your desk will reduce faster. You’ll find it easier to concentrate. A week or so later, you’ll start noticing your surroundings more. Your ears will pick up birdsongs in the background. You’ll observe your environment in greater color and detail when you walk in a room. You’ll wonder if it's really is possible that changes are taking effect THAT quickly. After three or four weeks, others will start to comment. “Is there something different about you?”.. because you’ll be walking taller, more confidently. And the first time you realize how far you've come will be when you start experiencing breakthroughs. Perhaps pushing past your best in the gym. Perhaps giving a presentation without feeling nerves. Or finding yourself reacting calmly to a ‘situation’ that you would have freaked out about before. You feel your shoulders loosen and your mind clear as you quietly, coolly and collectedly assess the situation. The chaos that used to rage in your mind is long gone. The electric energy that tightened your muscles and your chest doesn’t materialize. You breathe. You think. You act, decisively and with purpose. Others notice the change. They rely on you when there’s a situation. They look up to your control. They have newfound respect for you. You’ve wrestled control from fear. It will never control you, again. You’re a totally different person from the one who is reading this today. Make the best choice for you future today. 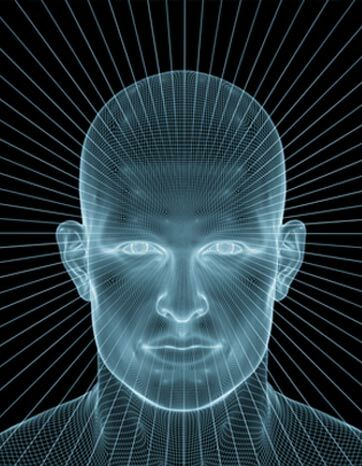 Banish any doubts, act decisively and within minutes you could soon be treading the path to a tough mind. P.S. 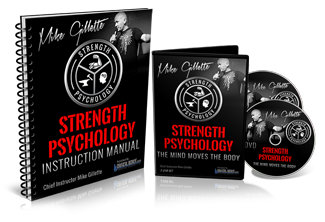 Try Mike Gillette’s Psychology of Strength for 60 days and experience for yourself the speed and ease at which you start developing rock-hard mental toughness. Silence your fears and discover how to tap into your peak performance state by focusing on a few simple mindset exercises that only take a few minutes each day. If you’re not feeling more alert, more ‘combat-effective’, free from fear and feeling you’re in control, I’ll give you all your money back, no questions asked. Q: I’m so busy with work and family. How much time will it take for me to learn to develop a strong mind? A: Mike believes the best strategy is the one that gets you to your goal as fast as possible and with the least amount of effort. With that in mind, he’s specially designed the program to be accessed quickly and easily. There’s absolutely no filler - the videos contain only high-quality, rich content - and you’ll be able to watch all the presentations in less than a day. The mind strengthening exercises have been designed in the same way and most take only a few minutes each day. Remember, consistency is more important than the amount of time spent doing the exercises. The mind is like a muscle. It requires constant attention and focus to stay strong. Only a few minutes a day will make a huge difference in your ability to control your emotions, quiet your mind and develop mental toughness to protect you and your family. 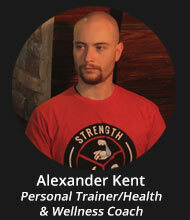 Q: I’m a strength athlete who also enjoys bodybuilding and, until recently, I was able to gain consistently. However, I’ve hit a plateau and no matter what I try - nutrition, changing routine, whatever - nothing is making a difference. Will this program help me? A: This program is perfect for you. 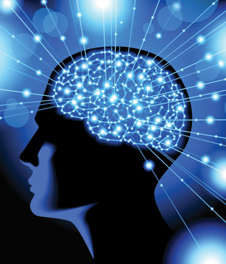 Pro athletes understand the importance of psychology on their overall performance. Psychology of Strength draws on exactly the same principles used and applied by Peak Performance Coaches around the globe to drive their professional athletes to higher levels of achievement. Like the body, the mind needs to be trained. You’ll soon discover how much your mindset has played a part in your performance. 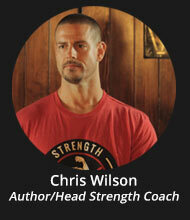 And very quickly you may find your plateaus smashed thanks to what Mike will show you in his videos. Check out Part 1 for his presentations on mindset. Q: I want to get started right away - how long will it take to receive the DVDs? A: If you have purchased the DVD package, we’ll send your order express. You should expect to receive this within 3-5 business days. However, if you have purchased the combined DVD/digital set, you will gain instant access to the presentations and workbook via a log-in which will be sent to you after purchase. You can start watching Mike’s presentations while waiting for the DVDs and hard copy of the workbook to arrive. The digital only version is, of course, available instantly. Q: Can I really learn to become mentally tough from a video? A: Good question. 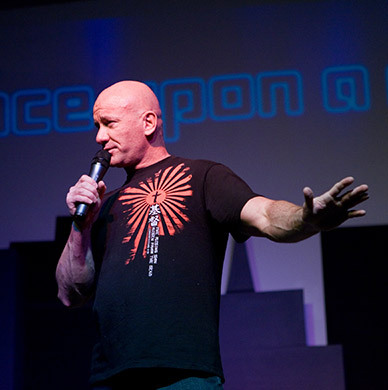 Previously Mike Gillette offered his mindset training as a live event during which he’d work one-on-one with you. However, one of the challenges from the live event was taking everything you learned and applying it when you’re back in a real-world situation, i.e. when you returned home. The other challenge with the live event was the inability for participants to immediately test what they’d learned. 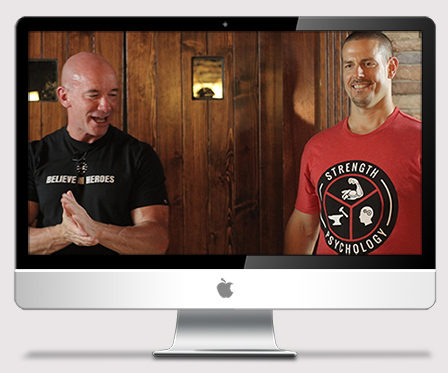 The launch of the Psychology of Strength program delivers the answer to all those issues. Designed to be used in the comfort of your own home, Mike delivers the lessons to you in your natural environment so you can immediately apply them where they matter most. The videos are designed to be repeatedly stopped and re-started so you can discover how to apply them immediately. Q: You’re so right that all my preparation and training means absolutely nothing if I ‘freeze’ when it hits the fan… but how long will it realistically take to develop mental toughness with this program? A: Students of the Psychology of Strength program have reported improvements in their mental toughness after just one session working with the presentations. However, the best results and the most impressive changes in individuals have come through consistently practicing the mental strengthening exercises for at least 90 days. This time is long enough for habits to form and significant changes to happen. What Mike shows you on concentration and focus will make an immediate difference to every part of your life, from physical exercise through to your working life. Many people don’t realize just how much they are swayed by emotion until they become mindful of it - through the program. Dive into Mike’s presentations in Part 2 and his mental strengthening exercises in Part 3 to discover how to start improving your mental toughness. Q: Why are you offering this program so cheap? 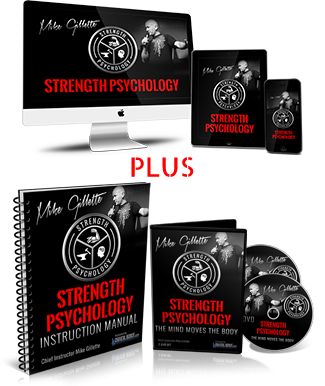 A: This is the first time Mike Gillette’s Psychology of Strength has ever been made available in this format to the public. The only way to access Mike’s knowledge, expertise and experience in the past was paying $1,000 to attend one of his courses. Now Mike has been persuaded to share his course with the wider public, although he has personally stipulated that it has to be priced so that the maximum number of people can benefit. This is why for this initial run of 500 programs we are reducing the price by $249 to just $47. Q: What happens if I try it but I don’t think it’s worked? A: In the unlikely event you’ve worked through the presentations and the workbook and still don’t feel you are mentally tougher as a result AND you are within 60 days of purchase, simply request a full 100% refund. We’re so confidence you’re going to love the program, we’re putting our money where our mouth is and giving you two full months to try the program. To process a refund, it’s easy. Just emails sales at criticalbench.com and speak with a member of our friendly customer service team who will happily process your refund. Q: How will I know I’ve become mentally tougher? A: Great question. As you’ll discover from Mike’s discussion about goal-setting, building in ways of measuring your progress towards a goal is key to achieving whatever you desire. Take time to consider what you are not doing now that you would do if you were not stopped by fear. Of course, not everyone is conscious that fear prevents them from taking action. (That’s why, for the majority of students, they often don’t realize when they do something they were previously fearful of doing… until much later). 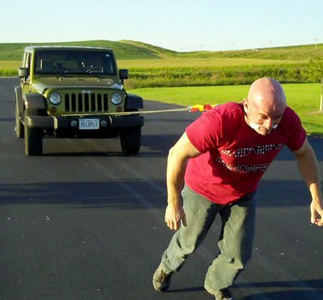 Mike also suggests ‘scary’ activities which test the limits of your mental strength. Watch the presentations in Part 2 of the program for more detail from Mike on how to use this strategy.